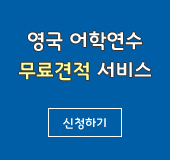 VOA 현장영어 - What's the purpose of your trip? 공항이나 국경의 입국 심사대에서는 입국 심사관이 방문자에게 여러 가지 질문을 하게 되지요. 대개 입국 목적, 체류 기간 등을 물어보는데요, 그 외에도 음식물 반입 여부, 현금 보유액, 호텔 예약 여부, 돌아갈 비행기표가 있는지 물어보기도 합니다. A:Where are you coming from? A:What's the purpose of your trip? B:I will visit the national parks in California and Arizona. A:How long will you be staying? A:How much money do you have? How much money are you bringing into US? * Where's your home? (거주지가 어디입니까? ), Where do you live? (어디에 사십니까? )라는 말과 비슷한 표현입니다. * trip: 짧은 여행, 방문; “What’s the purpose of your visit?” “What’s the purpose of you visit to the United States?”라고도 할 수 있습니다. * vacation: 휴가여행; “I’m here on vacation. (휴가여행을 왔습니다. )”라는 표현을 줄인 말입니다. 유럽, 특히 영국에서는 휴가여행을 ‘holiday’라고 하더군요. 입국 심사대에서 여행 목적을 물을 때 “Holiday?”라고 간단히 물어보기도 합니다. 대답은 “Yes, I’m on holiday.” 또는 간단하게, “Yes, holiday.”라고 하면 되지요. 여행 목적에 따라, 사업이나 업무를 보기 위해 입국할 경우, “I'm on business.”라고 하면 되고, 친척을 방문하기 위해 입국할 경우에는, “I'm visiting relatives.”라고 하면 됩니다. 캘리포니아와 애리조나 주의 국립공원들을 방문할 겁니다. * national parks: 국가 지정 공원, 국립공원. 캘리포니아 주에는 Yosemite, Death Valley, Sequoia and Kings Canyon, Redwood 등 다섯 개의 국립공원이 있고, 애리조나 주에는 Grand Canyon, Saguaro 선인장 국립공원 등 네 개의 국립공원이 있습니다. * “I’ll be staying for two weeks.”라는 말을 간단하게 줄인 표현입니다. * “How much money are you bringing into US?” 즉, “미국에 현금은 얼마나 가지고 들어 오시나요?”라고 물어보기도 합니다. 이제 대화 내용 중에서 “여행 (방문) 목적이 무엇입니까?”라는 표현을 활용해서 영어로 간단히 대화를 주고 받는 연습을 해볼까요? A:What's the purpose of your visit? B:I'm visiting my friend. .
A:What's the purpose of your trip, business or pleasure? B:Business. I’m here for a conference. I will visit the national parks in California and Arizona.